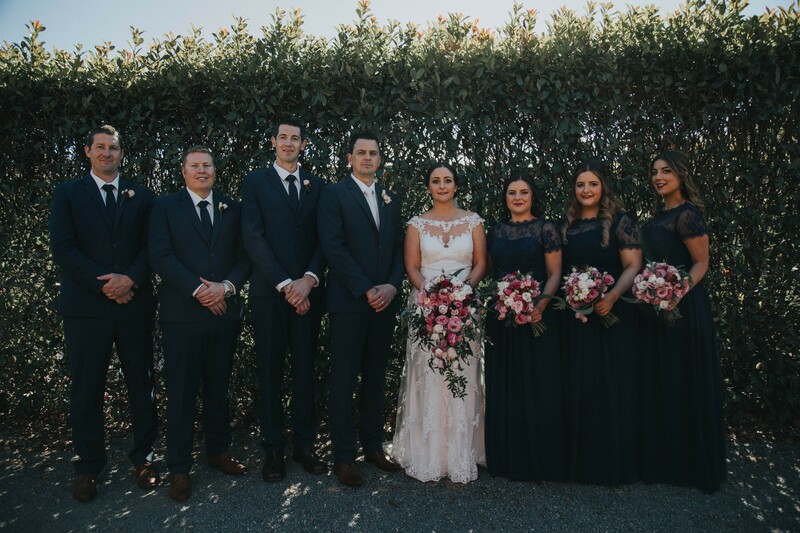 Here are Bride and Groom we believe beautiful blooms and bridal bouquets go hand in hand and today we are counting down our favourite styles from 2018. 10. 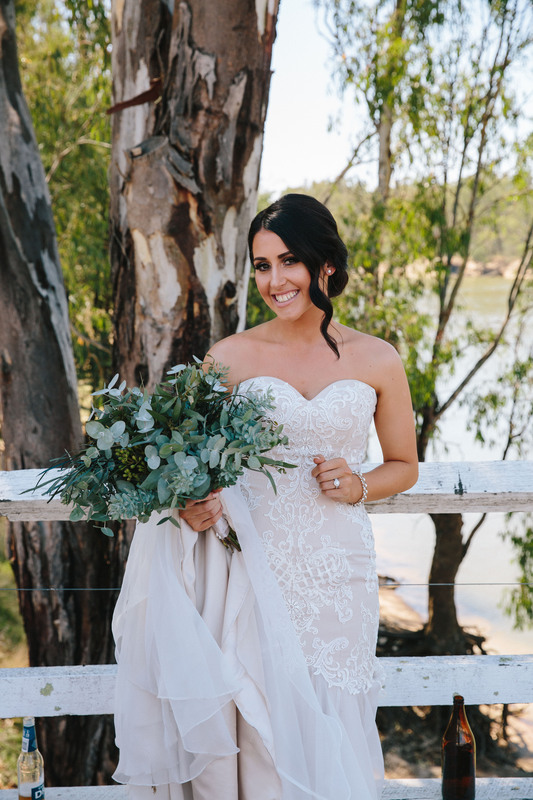 This Bunbartha Beef, Shepparton bouquet uses a simple yet effective combo of Baby's-breath and foliage. 9. 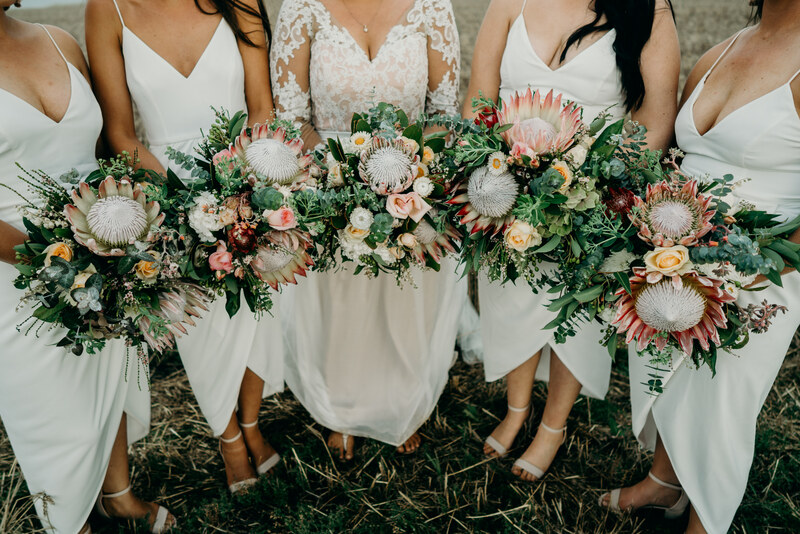 Native flowers have become a bridal bouquet staple and it's not hard to see why with results like this from Oak and Holly Flowers, Castlemaine. 8. 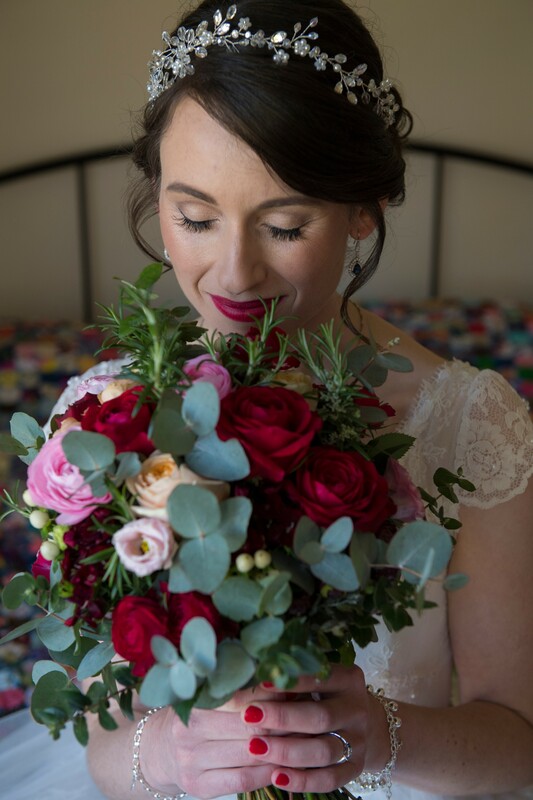 A modern take on a traditional red rose bouquet. 7. 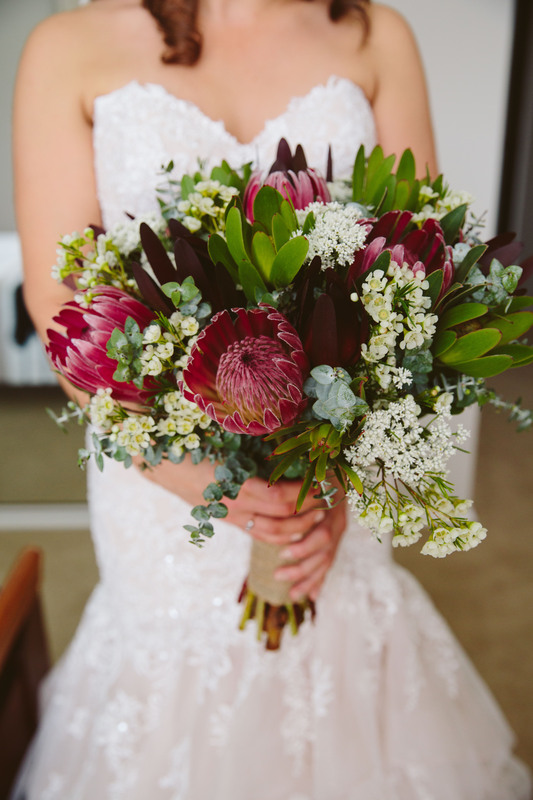 Burgundy Proteas make a statement in this Floral Love, Cobram bouquet. Jay Humphrey Photography + Design. 6. 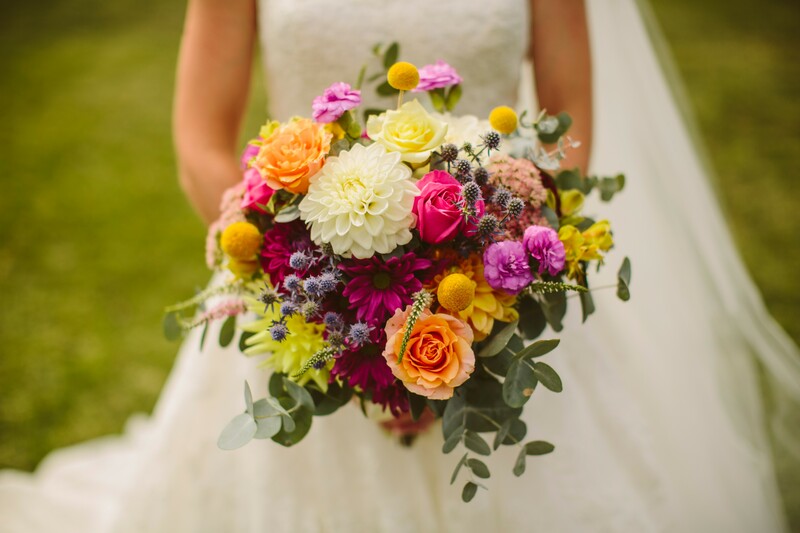 Greenery is huge when it comes to styling but is also makes a simple yet eye catching bouquet like this one. 5. 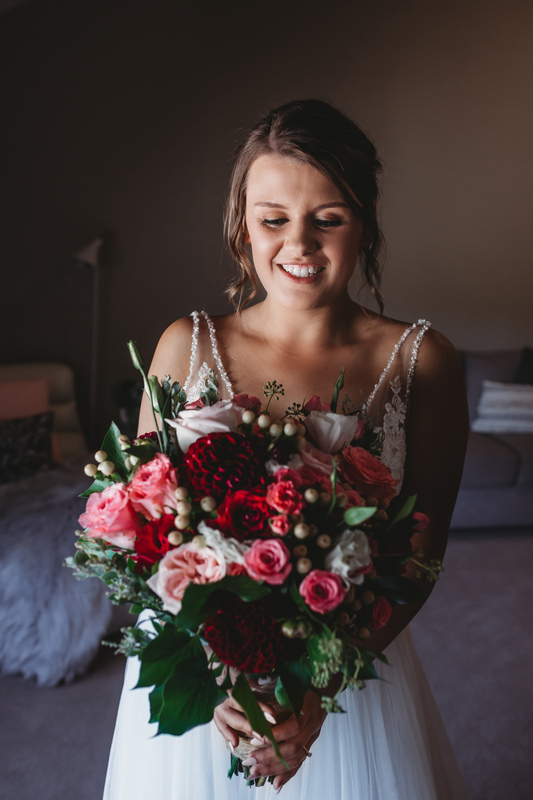 A vibrant combination of pink, red and green works a treat in this Bunbartha Beef, Shepparton bouquet. 4. 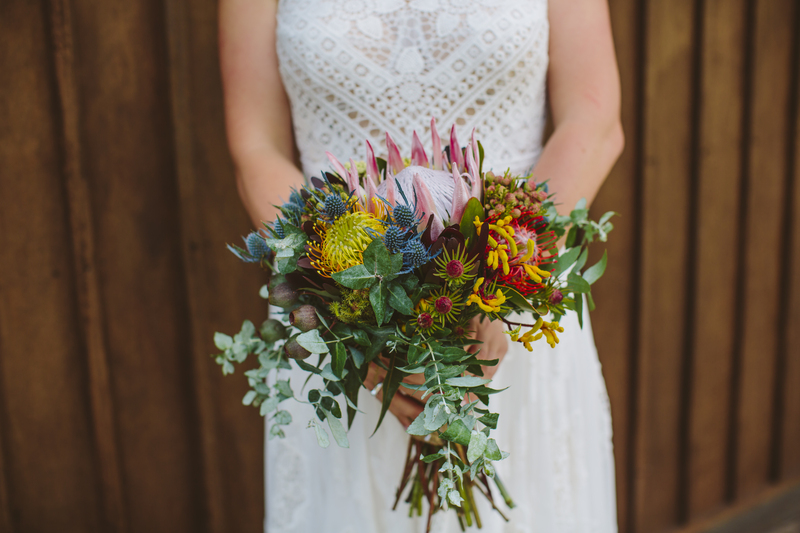 King Proteas elevate these native bouquets by Simon Palmer Florals to the next level. 3. Its hard to go past this bouquet peppered with Billy Buttons by Flowers on Melville, Numurkah. 2. 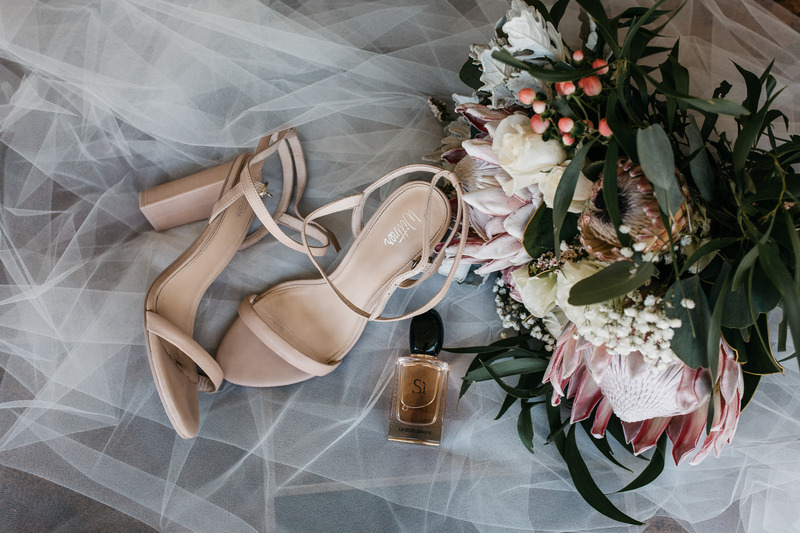 A palette of pink hues by Blue Wilde Floristry, Murchison, contrasts perfectly against the navy of the bridesmaid dresses. ​​​​​1. 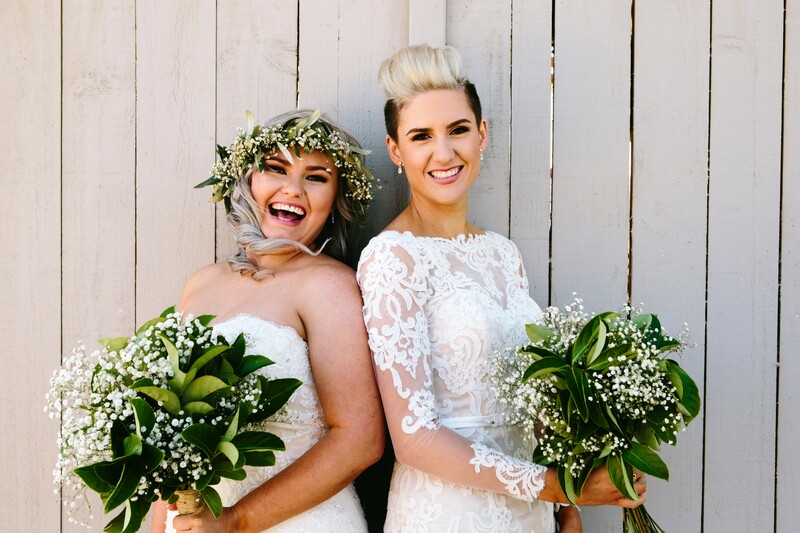 With vibrant burst of native blooms and gumnuts this bouquet by Renato's Florist, Shepparton makes a statement.